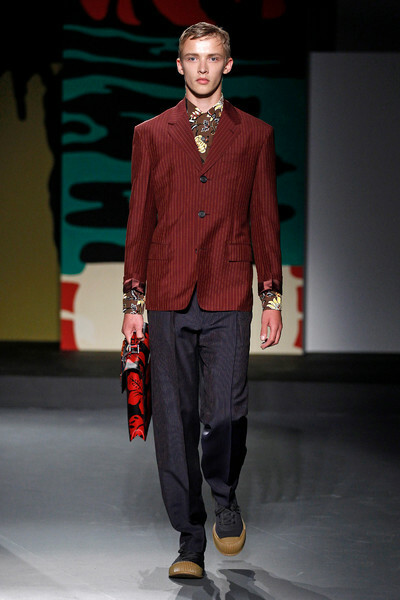 What looked like a setting of an exotic holiday changed with the threatening sound of a military helicopter at the start of the show. 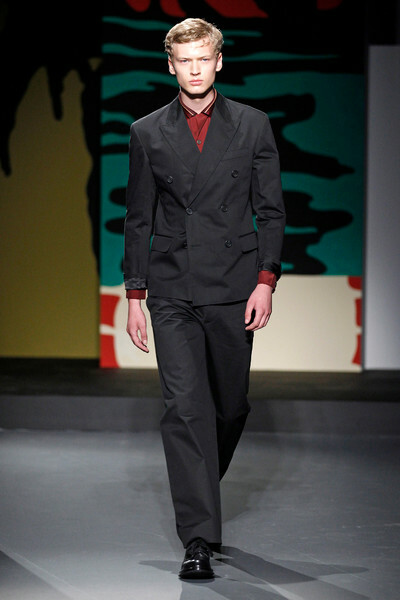 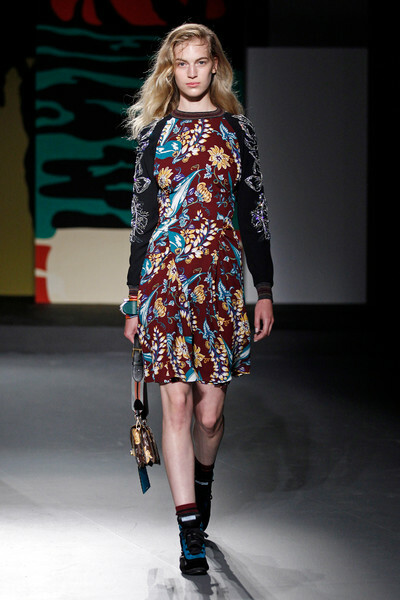 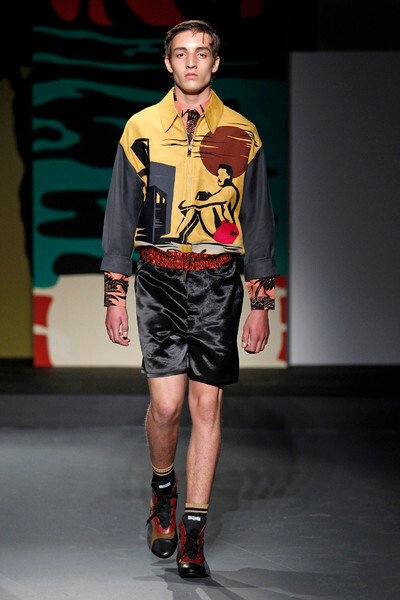 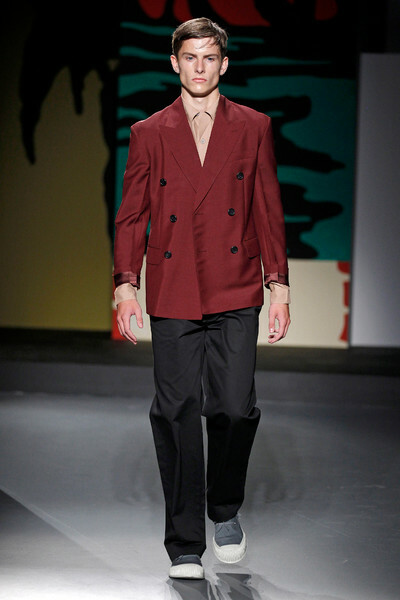 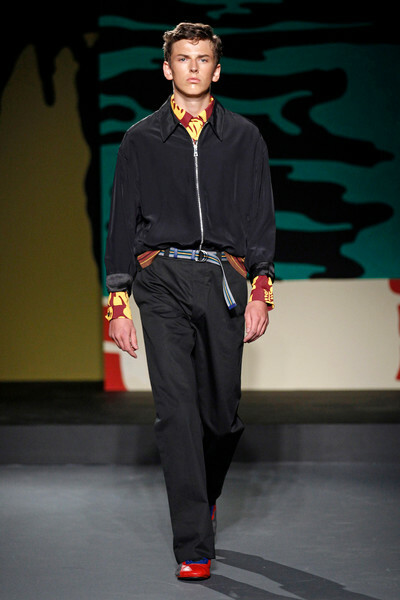 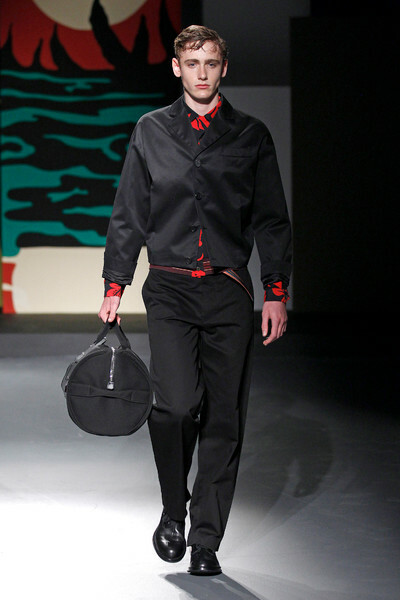 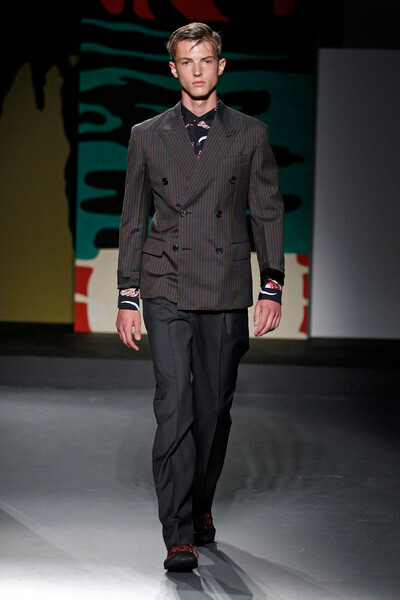 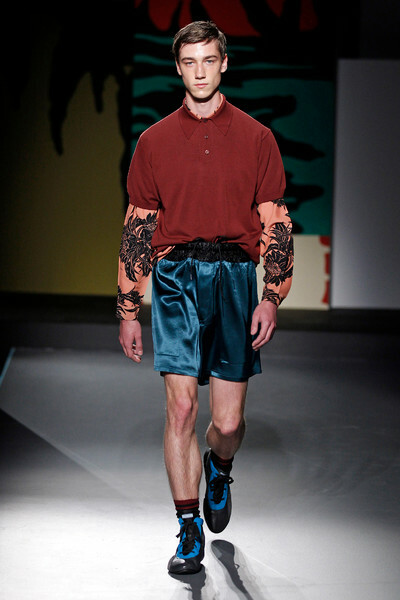 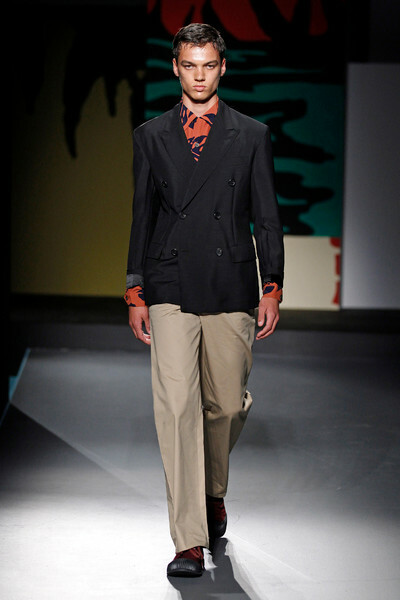 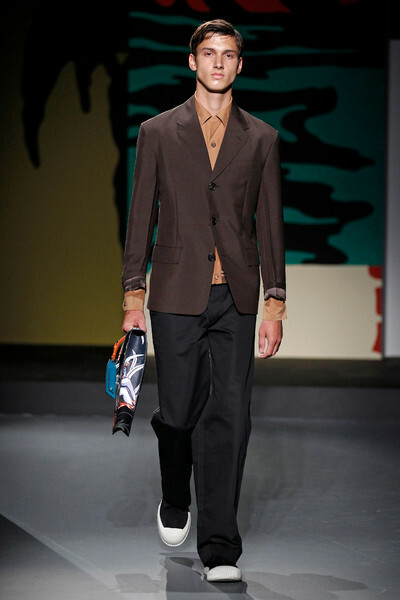 Miuccia Prada wanted to create a dark and menacing feeling with het ss2014-show she told Womens Wear Daily backstage. 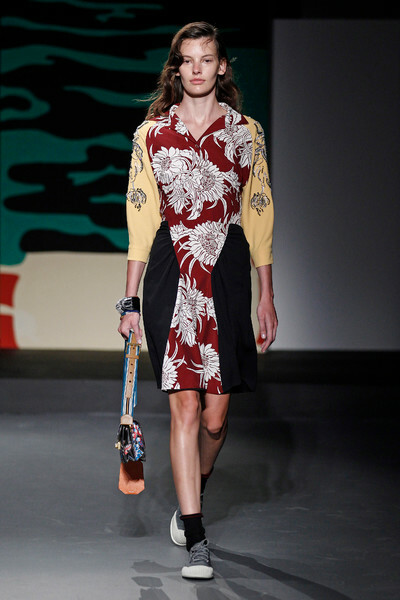 Her story, that a conflict-torn globe makes finding a carefree place almost impossible, made for a daring collection and a show as captivating as a film noir set in pre-war Honolulu. 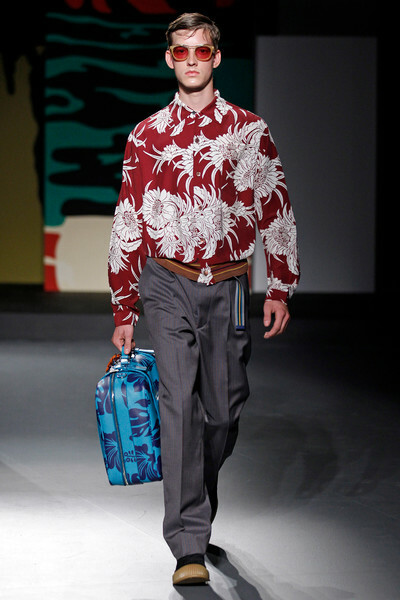 The collection: Hawaiian shirts, broken suits, satin-like blousons, and leisure shoes cloaked in rubber. 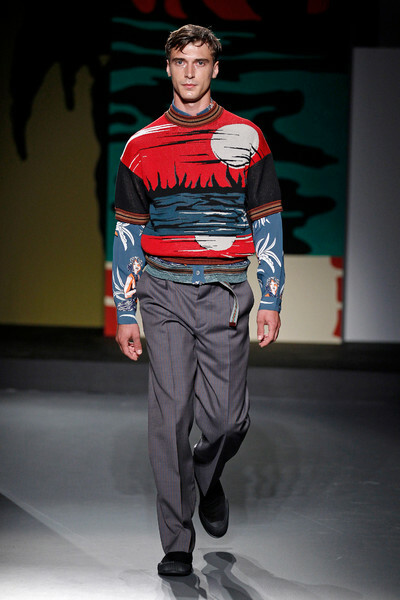 The models looked as if they dressed themsleves in panic and just grabbed some clothes they could find. 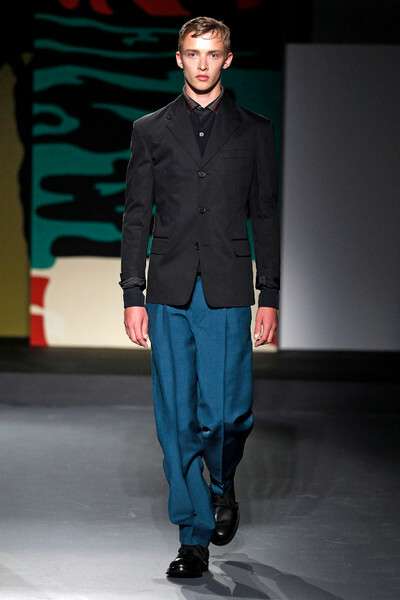 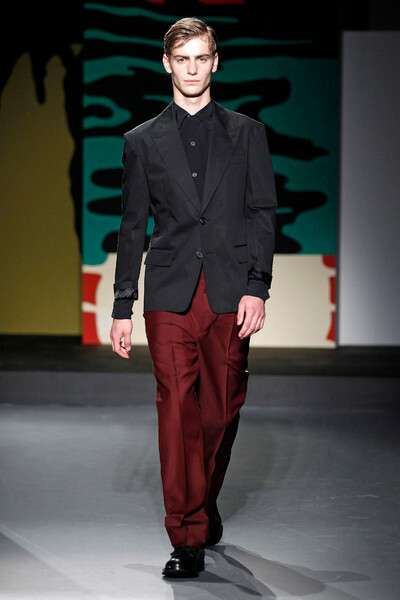 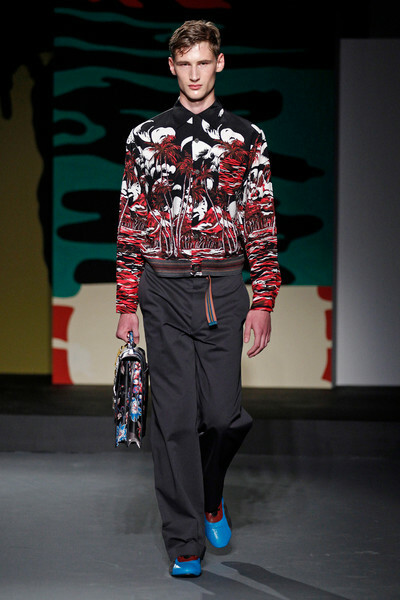 The colors were dark for a spring collection, as is noticed in more Milanese collections. 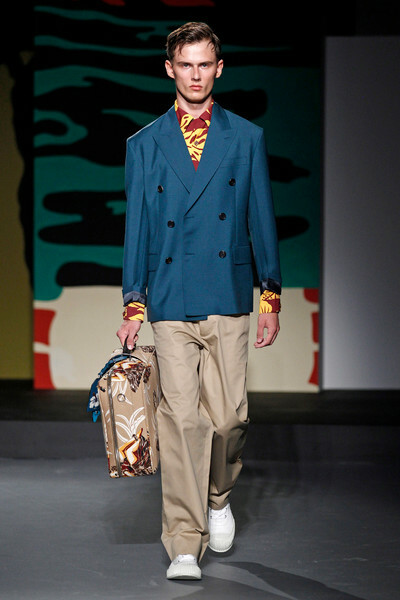 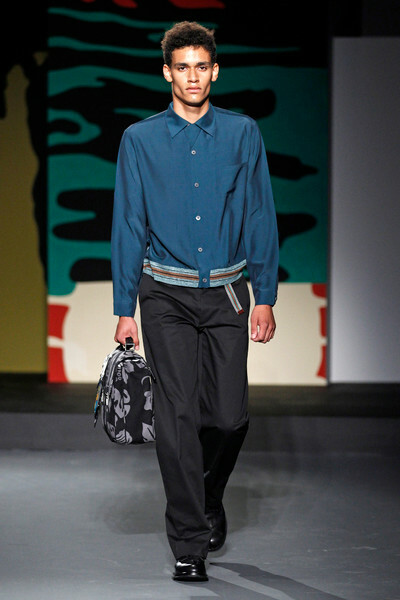 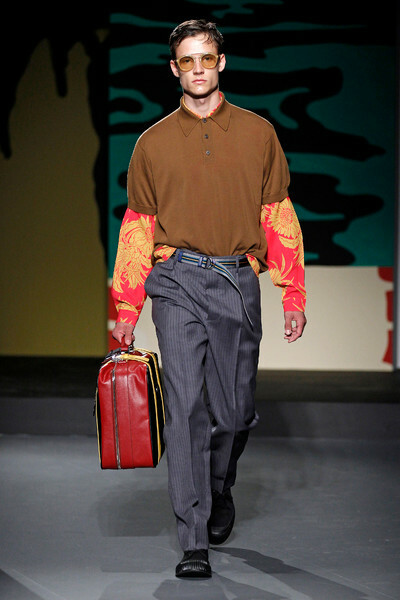 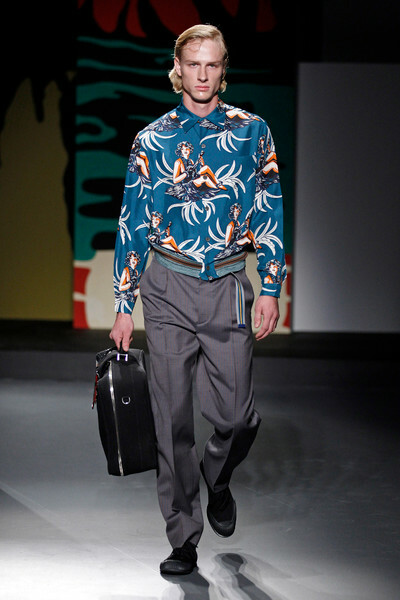 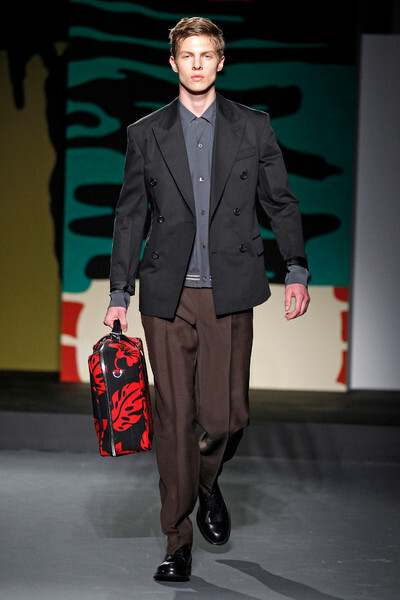 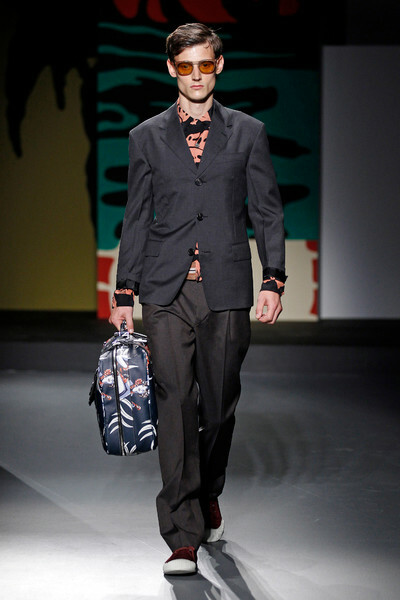 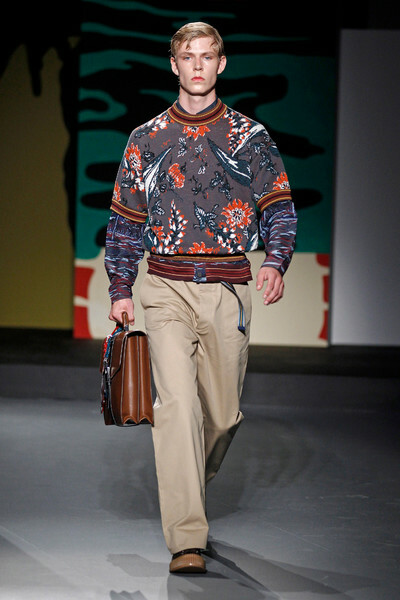 Prada spiced up her palette with bold and lively prints of jungle foliage and pinup girls, even putting them onto leather briefcases and weekender. 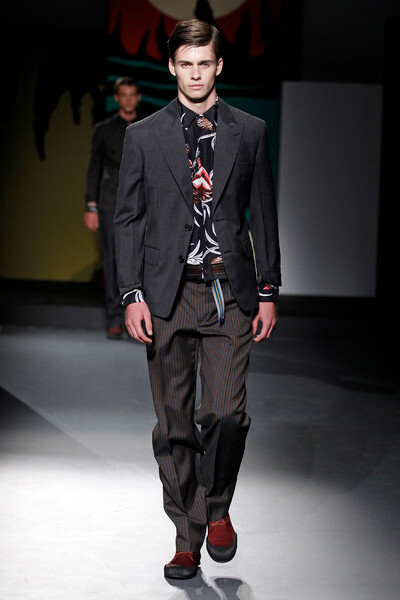 The silhouette was very relaxed in double-breasted or single-breasted jackets. 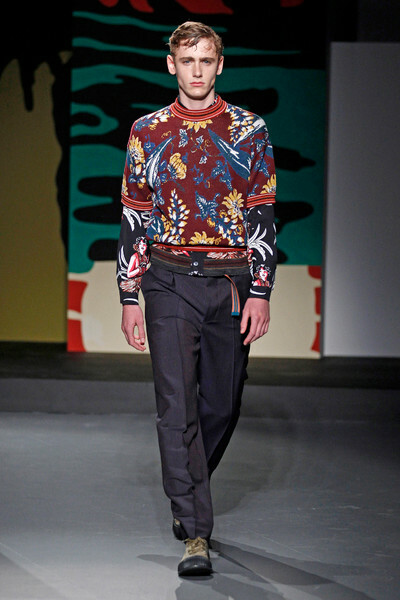 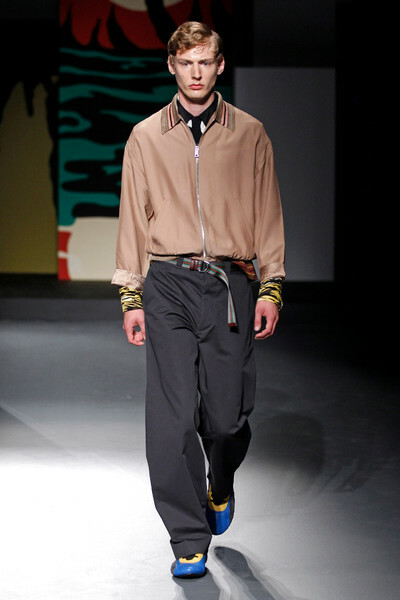 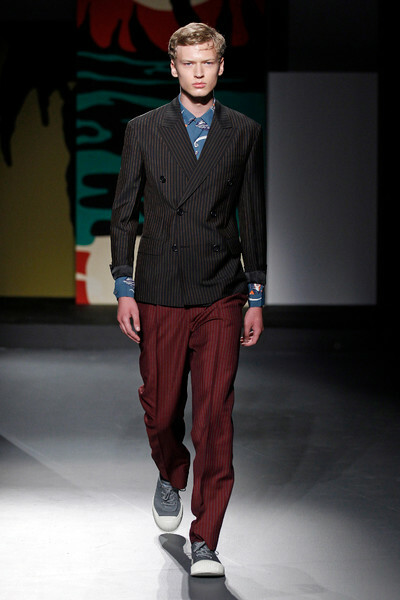 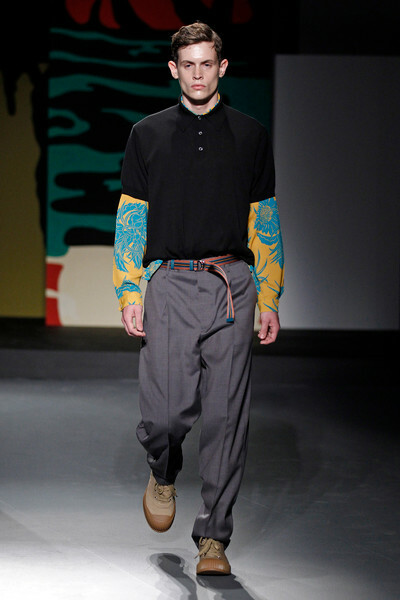 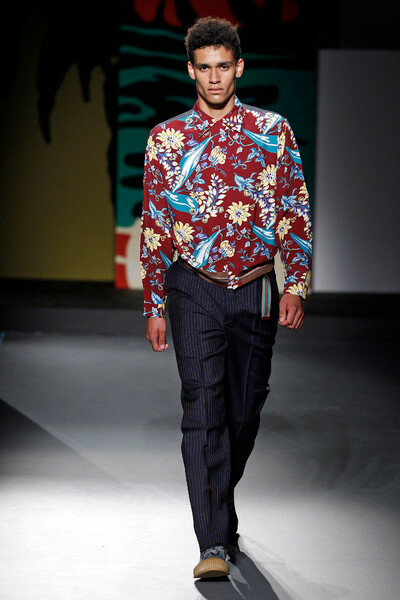 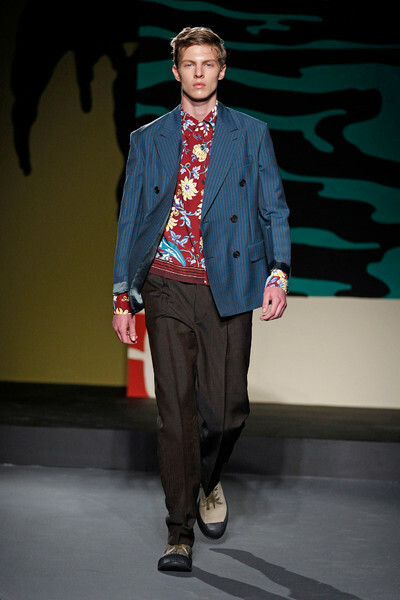 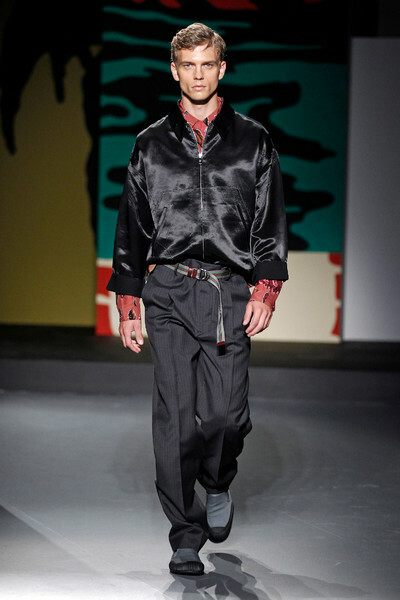 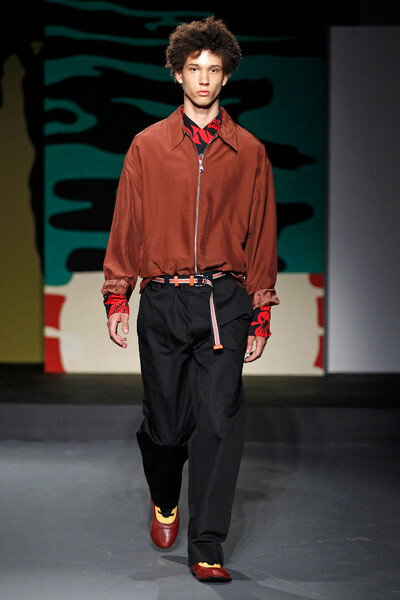 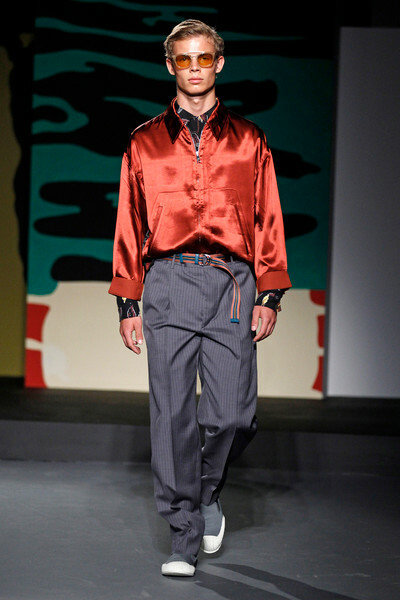 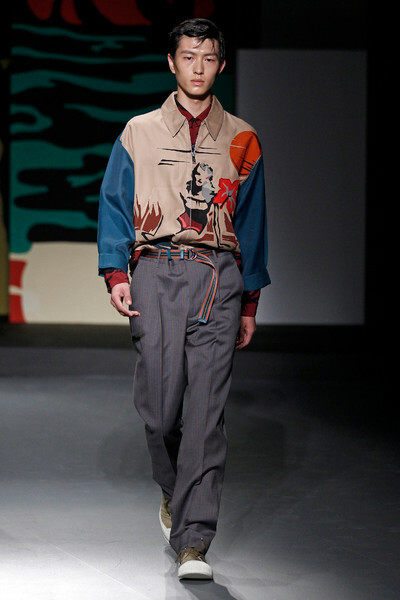 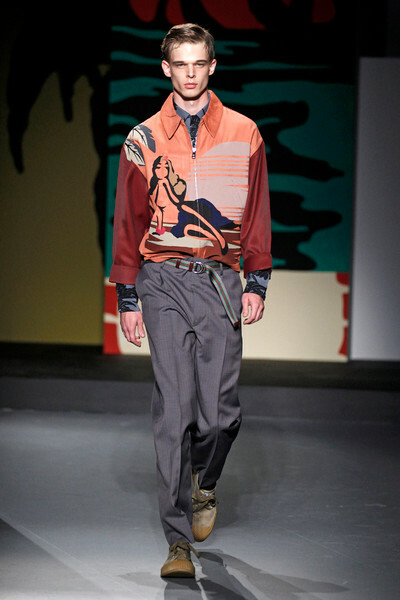 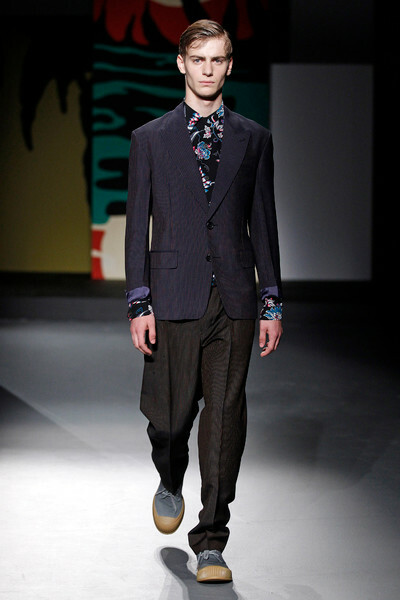 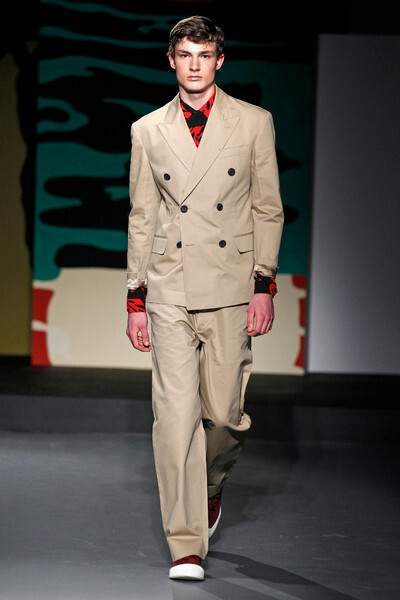 They looked great over silky printed shirts and full-legged trousers.